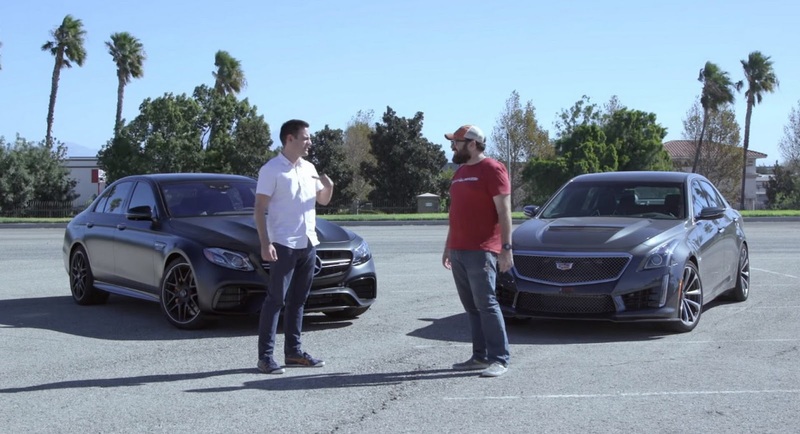 The all-new Mercedes-AMG E63 has arrived looking for the crown of the best super saloon but first it needs to have a chat with the Cadillac CTS-V. In order to celebrate winning the 2017 IMSA Manufacturer, Driver, Team and Endurance titles, Cadillac has put together a new Championship Edition spec for its three high-performance models. 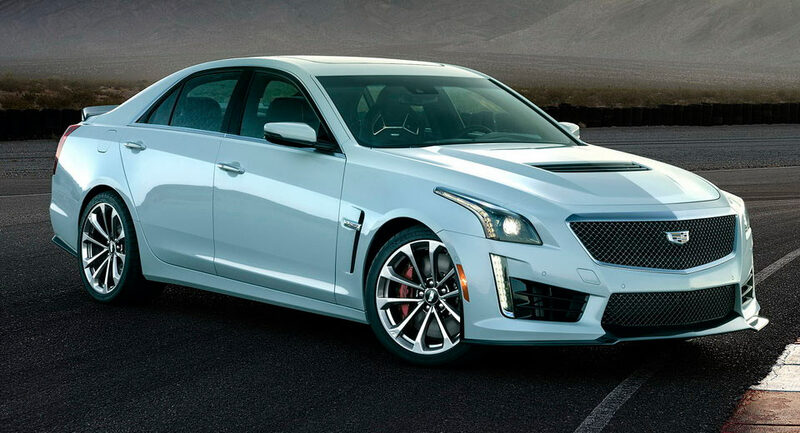 Prices start from $72,190 for the Championship Edition ATS-V Sedan, while the Coupe costs upwards of $74,390. Meanwhile, the larger CTS-V is priced from $105,730. So whether you choose the 2018 ATS-V or the 2018 CTS-V, you can now get them with either a Black Raven or Crystal White tri-coat exterior paint, plus Cadillac V-Performance graphics on the hood and rear spoiler. Other notable aesthetic additions are the Red Obsession side-view mirror caps, DPi-V.R graphic on the quarter windows, red Brembo brake calipers and the V-Series wheels (19″ for the CTS-V and 18″ for the ATS-V) with Midnight Silver painted pockets. Inside, the cars feature a Performance Data Recorder with Cosworth Toolbox, a sunroof, rear camera mirror and the Morello Red detail package, which includes the Jet Black Recaro race-inspired seats, red front and rear door armrests and Morello-accented high gloss carbon fiber trim. Both models are equipped with Cadillac’s Carbon Fiber package, which adds a carbon fiber front splitter, hood vent, rear spoiler and rear diffuser. The CTS-V however also comes with the Luxury Package, offering tri-zone climate control, heated rear outboard seating positions, power rear-window sunshade, manual rear side-window sunshades and a 110-volt power receptacle. Cadillac will only build a total of 200 Championship Edition cars, all of which scheduled to arrive at select Cadillac dealers across North America in December. This is the 2018 Cadillac CTS-V Glacier Metallic Edition, a special model created to celebrate the company’s 115th anniversary. If you're going to beat a flagship Tesla Model S in a drag race, you better throw everything plus the kitchen sink in its direction. 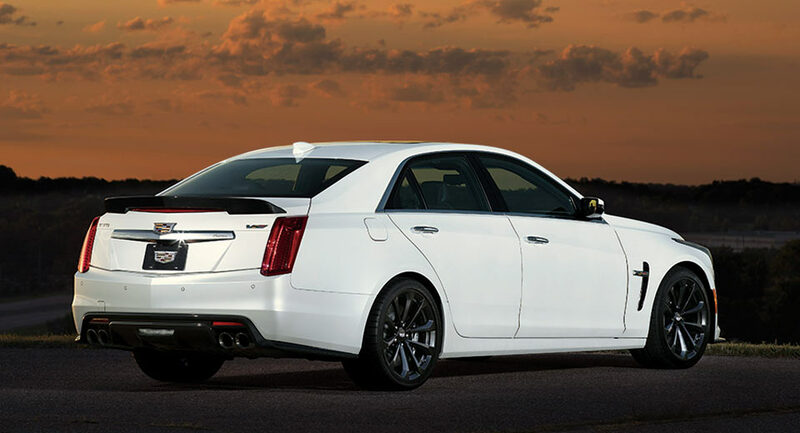 Cadillac has just detailed the limited-edition CTS-V Carbon Black Edition available exclusively in Japan. While there's not much between these two in an off-the-line drag race to 100 km/h (62 mph), this particular event featured a rolling start and a long runway. Before Mercedes came knocking with their latest E63 S, Cadillac's speedy CTS-V didn't have much to fear from its rivals in terms of acceleration. If you're looking for a used power wagon, but don't want to overspend on something that might not hold its value when you decide to depart ways, this 2012 CTS-V Wagon could make it on your list. An incident purportedly involving a Cadillac representative showing off a CTS-V to a shotgun rider, was shared on YouTube. The video title suggests that the accident might have happened a couple of years ago (even though it was uploaded just last month) in Pebble Beach. As awesome as this 2017 Cadillac CTS-V looks thanks to that Carbon Black Sport Package, it's still no match for what is otherwise, a record-setting 4-door saloon. Can't decide between a luxury sedan or sport-ute? Cadillac is here to help with its new Book service. Rather than buying or leasing a specific vehicle, Book by Cadillac offers a subscription to a fleet of top-of-the-line luxury automobile – something like Netflix for cars. While the 2016 CTS-V has plenty of power and torque at its disposal, the previous-generation SL600 was formidable in its own right. Copyright 2016 100 Hot Cars.